The 50 fl. oz. 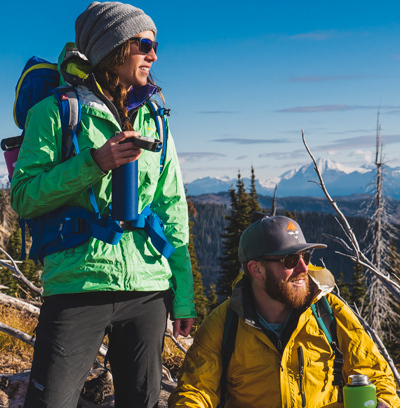 JavaDrip brings the ease and familiarity of your home coffee maker wherever your adventures may take you. Be the hero of your camp when you whip up several instant cups of morning bliss with this portable coffee maker. Lightweight, BPA-Free, and shatter-resistant, it goes anywhere. BPA-Free carafe with sturdy molded handle is lightweight and shatter-resistant, allowing you to enjoy drip coffee anywhere. CAUTION: Not for stovetop or microwave use. Do not fill above window in EVA sleeve. Brewed coffee and grounds may be very hot. Handle with care. Keep out of reach of children and pets. Always respect hot liquids.